Secure Early Entry Deployed Service (SEEDS) is designed to support a small number of forward operating personnel and provides rapid delivery of information in a secure collaboration environment. SEEDS permits immediate connection to the accredited Official Service onto the RLI as soon as the detachment arrives on deployment/ in theatre. SEEDS is a resilient service able to meet the most challenging operational requirements, whilst being fully compliant with the MOD’s strict security regime. SEEDS can be utilised immediately at a deployed Forward Operating Base (FOB) in any building or tent satisfying the needs of the initial troop deployment. As part of the scalable deployable service, SEEDS can increase in capacity and capability to support the changing numbers and roles of the FOB. A smart functionof the SEEDS is it gets over traditional performance challenges especially when sharing large amounts of data hungry files, such as video and images and allows all deployed personnel to collaborate locally without the need to reach back via the UK. This local domain will enable localised Microsoft Exchange, shared working area, file and print capability and allow information exchange, meaning that users can work and collaborate with each other even when off net. 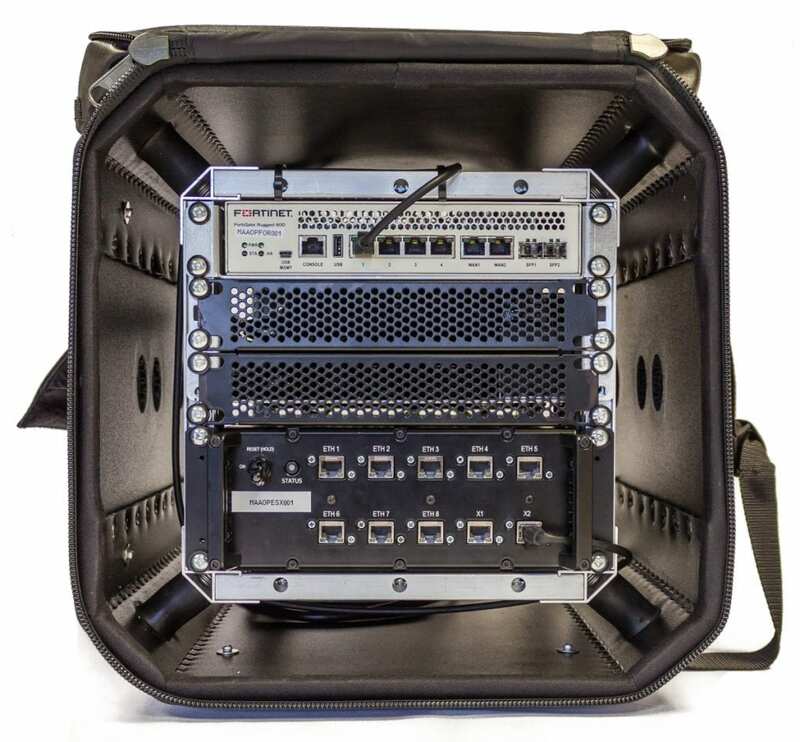 The SEEDS versatility allows for LAN speed collaboration onsite and for global collaboration when connection to a WAN is available. SEEDS is a Prolinx fully managed service using assured commercially off the shelf (COTS) components appropriately hardened for this style of operation. The solution has many features including being scalable, agile, secure, transportable, small scale, semi-autonomous and with low power consumption. It is a mobile service delivery platform with local domain allowing access to the RLI Central services by means of any Bearer of Opportunity by providing link encryption and relevant gateway security. At the heart of this capability is Prolinx Assured Cloud Services (PACS) engine. SEEDS comes in a number of models from briefcase size units for 2 – 4 users up to semi-permanent solutions capable of supporting thousands of users. When required SEEDS can securely connect the service to any domestic broadband service, a mobile 3G/4G service or a variety of MoD provisioned connectivity services. SEEDS operates at the Official-Sensitive caveat and permits users global collaboration functionality across the RLI. SEEDS can be provided with optional configurations that can augment the capabilities. SEEDS provides endpoint user devices from a single user to 100 users as standard, including if required VDI and Zero Client Desktops, Laptops and Secure Official wireless. As the service is scalable it can increase the user count up to 1000. Office productivity suite such as email, messaging, conferencing, Word, Excel, PowerPoint, SharePoint. Configurable for secure connectivity to the RLI network via an MoD approved bearer (Native RLI, Falcon, etc). Rapid deployment through man portable hardened enclosures.